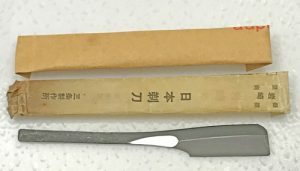 Aframes Tokyo – Cooking Knives / Sharpening Stones / Razors and more! 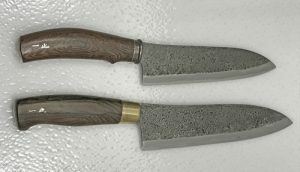 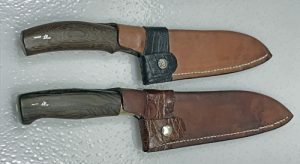 It is available to make custom solid wood handle with my stock blades (western style chef knife). 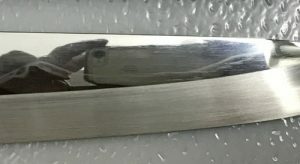 with SG2 Stainless steel blade. 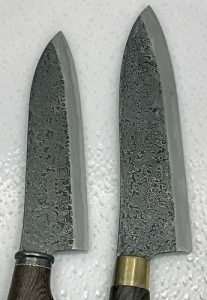 with blue II steel / stainless steel cladding. 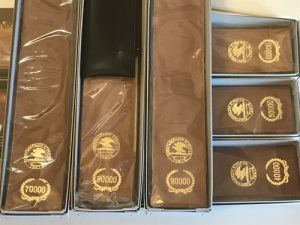 We have got Kanoyama Cordovan strops from #40000 to #90000 last week. 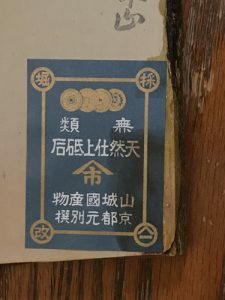 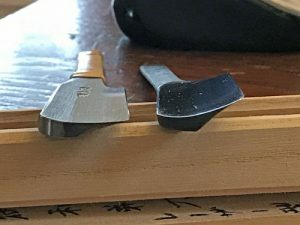 To have left hand and right hand of Kiridashi are ideal way of curving wood, because when the bevel side is attached on the wood block, the blade moves away from the wood surface. 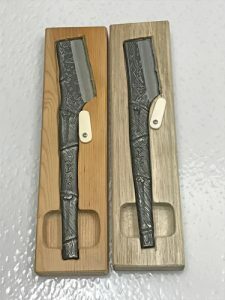 I meant what the blade bites smaller amount of wood surface, and slip away. 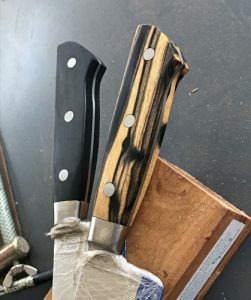 It is great for when we need to remove tiny amount of the surface of the wood that is something like clean up little bit. 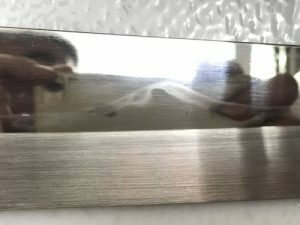 That is happens to the single bevel edge blade. 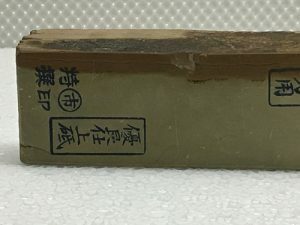 In the other hand, when we attach the flat concave side on the surface of the wood, it bits the wood, and the edge is going to deeper side. 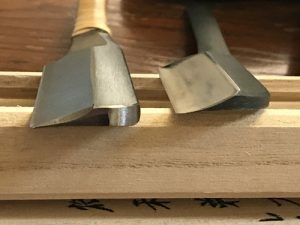 It is great for when we need to remove lots of meat of the wood. 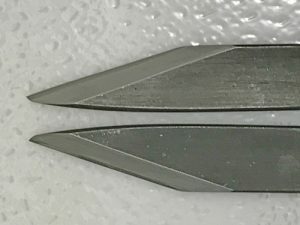 Therefore, if we have the left and right hand kiridashi, we are able to use them more occasions. 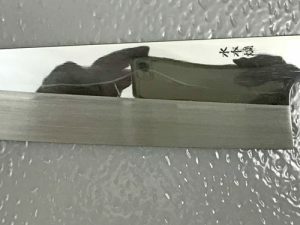 They came in Yesterday, and they are kind of expensive, but they are custom made one by one, so we can distinguish from the others. 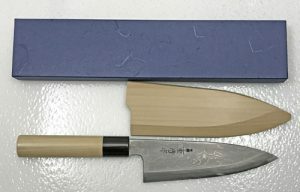 The wisteria wrapped handle one is Iwasaki 58mm Tamahagane kamisori (single bevel). 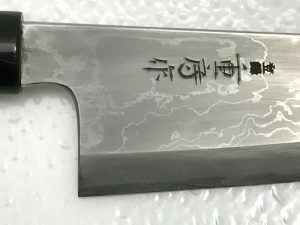 The other one without the wrapping is Takami double bevel kamisori. 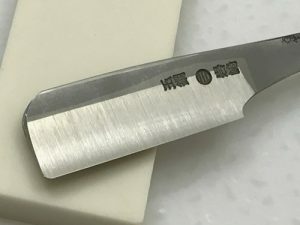 Takami double bevel one looks single bevel, but it seems it has deeper hollow ground especially on the flat concave side, Ura side.